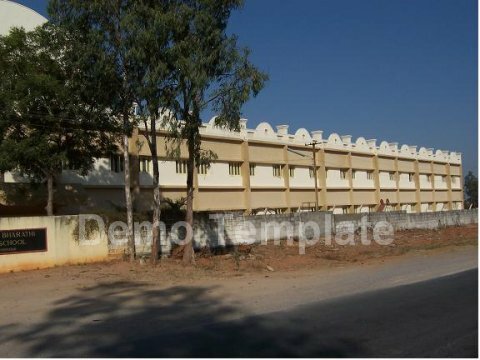 Chaitanya Bharathi Institute of Technology is one of the premier Engineering Colleges in the self-financing category in Andhra Pradesh. 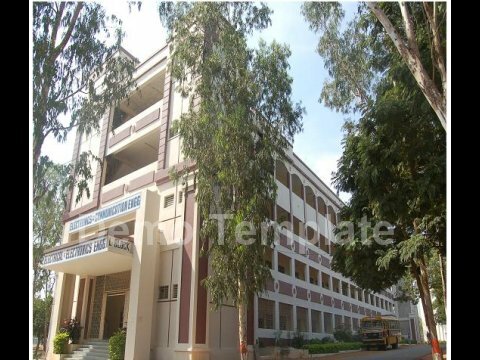 It has been accredited four times in 1998, 2004, 2008 and 2013 by NBA(AICTE) and accredited by NAAC(UGC) in 2013. 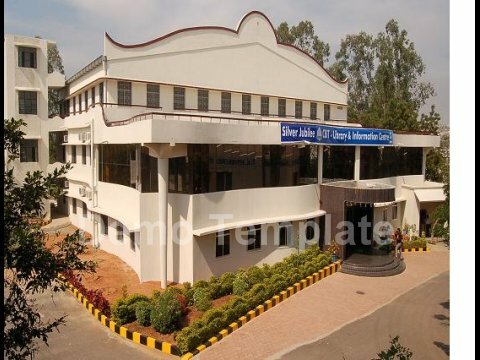 It is also the first ISO 9001-2000 certified Engineering Institute of AP. The total constructed area is 4,45,467 sq. ft. worth about Rs 25.00 crores spread on 30 acres. The grants received from AICTE are worth about Rs. 4.0 crores. The college offers 9 UG and 11 PG programmes. Brilliant and meritorious candidates with top EAMCET ranks are seeking admission in CBIT especially in ECE, EEE, CSE, IT, Mechanical Engineering etc. The pass percentage is consistent with 95% on an average out of which 80% of the students are passing either in distinction or in first class. More than 75% of the students are being placed in world class companies through campus placements. The remaining students are being pursue their higher education or go for Govt. sector jobs. The Institution, shaping its students into disciplined young citizens of good character and culture lays emphasis on practical experience so as to enable them to secure employment in industry thereby to become entrepreneurs. 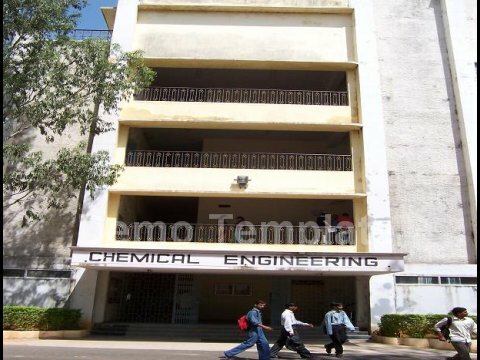 CBIT stands as the only Engineering College in the state with 553 students placed in reputed organizations through campus interviews from August 2006 to March, 2007. 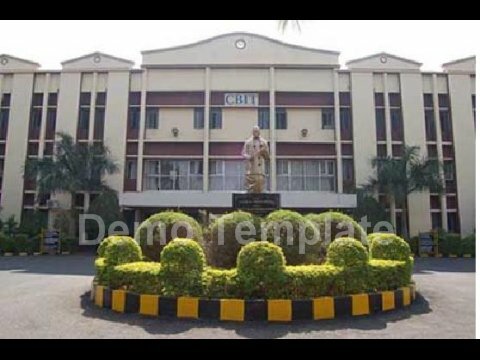 In its keen commitment to offer quality education, CBIT, over the past 27 years has become a temple of knowledge and produced about 12,000 eminent and skillful graduate engineers, who are successful in their careers, serving all over the state. CBIT is currently offering the courses under two catogories namely Under Graduate and Post Graduate. A Candidate for admission to the four-year degree course in Engineering must have passed the Intermediate examination of the Board of Intermediate Education, Government of Andhra Pradesh with Mathematics, Physics and Chemistry as optional subjects, or any other examination recognized by the Osmania University as equivalent thereto. All the eligible applicants for admission into First Year shall have to qualify in the EAMCET Examination conducted by the Govt. of AP. The candidates will be admitted strictly in accordance with the merit secured at the Entrance Examination keeping in view the rules in force regarding the reservations of seats of various categories of candidates. The candidates should satisfy local/non-local status requirement as laid down in the AP Educational institutions (Regulation of Admissions) Order 1974 as amended from time to time. The seats shall be filled either on the basis of rank obtained in EAMCET or of securing not less than 50% in aggregate or in group subjects (Maths, Physics and Chemistry) in the 10+2 qualifying examination. AMIE/AMIETE or similar qualifications recognized by UPSC as equivalent to B.E./B.Tech. valid GATE Score obtained in the GATE Examination. Apart from requirements of qualifications as stated in the above, the admissions of sponsored candidates shall be taken. The number of Sponsored candidates shall not be more than two in each specialization and not more than five in each department. His/Her application shall be duly recommended by the sponsoring agency for admission to the course and forwarded to the Osmania University (Principal, University College of Engineering, Osmania University, Hyderabad - 500 007). These seats are considered as supernumerary. He/She must be permanent employee with the sponsoring agency for at least (2) years, after obtaining the qualifying degree. The sponsoring agency must be a Government establishment or a public-sector undertaking, or a reputed private undertaking. The sponsoring agency shall-certify that the candidates will be granted leave for pursuing the M.E. Full-Time course. 1. A candidate must have passed in any bachelor's degree with Mathematics at Intermediate (10+2) level or should have studied a Mathematics as one of the subjects at graduation level. 2. Must have qualified in Integrated Common Entrance Test (ICET) conducted by AP State Council of Higher Education, Govt of AP. 3. The candidates should satisfy local/non-local status requirement as laid down in the AP Educational institutions (Regulation of Admissions) Order 1974 as amended from time to time. The candidates will be admitted strictly in accordance with the merit secured at the ICET. The Convener admits 70% of the intake to the MCA programme based on the ICET rank. The Management admits the remaining 30% under Management and NRI quota. 1. A pass in bachelor's degree in any field with 45% marks in aggrgate. The candidates will be admitted on the basis of rank secured at the ICET. The Convener admits 70% of the intake to the MBA programme based on the ICET rank. CBIT placement cell was established in 1996 with a prime objective of creating career opportunities for promising CBIT students in reputed corporates towards meeting aspirations of all the stakeholders. To accomplish this career objective placement cell has identified corporates in various sectors and initiated the process of building a mutually rewarding relationship with them. 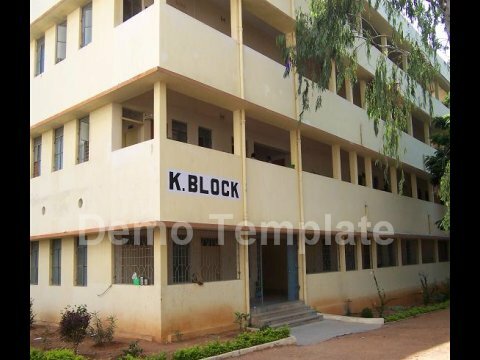 CBIT placement cell had a humble beginning in 1996 and at present it has an exclusive built up space of 8000 sqft which is well furnished with all the state of art facilities like conference hall , home theatre, LCD projector, PA system and an office which is equipped with laptop, desktops, laser printers, handy cam, digital camera, invertors, air conditioners, exclusive room for group discussion, 9 exclusive interview rooms and a self sufficient pantry. In its 14 years of fruitful journey a total of 300 companies visited CBIT recruiting 7307 students from various disciplines. It is our endeavor to share the new milestones of CBIT placement cell which has achieved highest placements in AP for the past five consecutive years (2006 -2012). CBIT is indebted to all the corporates who were instrumental in accomplishing the desired objectives. It was a proud moment when CBIT was ranked 31st in the country and 1st in the state in placements among top 100 engineering colleges by ‘OUTLOOK’ magazine 17th July 2006 issue. CBIT placement cell was instrumental in entering into MoU’s with reputed corporate giants like CTS, Infosys, Wipro, Mahindra & Mahindra, Erricson, Infotech in conducting various Industry Institute initiatives. CTS sponsored various technical, cultural and literary events to provide holistic abilities to the students in facing emerging challenges in the context of globalization.Infosys Campus Connect programme enables students to hone their soft skills to meet the industry needs.Wipro Mission 10X is aimed at developing teaching capabilities of various faculty members. CBIT is accredited by WIPRO vide ltr No. WT/TA 112. All these accomplishments and milestones were possible due to unstinted patronage by the management, proactive support by the Director, Principal and continuous nurturing and mentoring by the dedicated faculty.